During the interview process, there’s a significant amount of heat on candidates when it comes to fielding questions to prove that they’re a good fit for an open role within a particular business. As they interview, they’ll be meeting with a hiring manager and often a team of other employees. At this time, they’re expected to eloquently answer a range of questions about themselves. Everything from past work experience to their biggest weaknesses are fair game. But if a candidate approaches the process correctly and thoroughly, they’ll also do their fair share of question-asking. Making sure a candidate is an appropriate fit for a position is a two-way street. Why is it necessary for a job seeker to ask their own set of questions during an interview? To some people, it may seem odd that a job seeker comes armed with their own list of candidate questions to toss an interviewer’s way. The hiring manager clearly has the upper hand. They’ve got a dozen or more qualified and interested applicants who want this position, so why should they waste time on someone who needs to verify that the job will be a good fit for them too? If the person didn’t care about the position and were simply seeking employment, they wouldn’t want to know about the kinds of projects they’d be working on or the types of people they’d be working with, should they receive a job offer. They’d just be glad to have a job and a paycheck. But by asking questions about the details of the role, this individual is illustrating that they’re interested in more than just a salary; they’re seeking a career. They’re showing that they want to contribute positively to this office environment, and they’re looking to stick around for the long haul. This candidate is valuable to an employer who loses time and money by constantly having to train employee after employee when ill-fitting individuals leave after only a matter of months. Someone can be absolutely perfect for your company on paper — they’re well educated, experienced, maybe even award-winning — but in real life, they just don’t mesh well with your team. Maybe their personality doesn’t blend with the rest of your staff, or their work style or approach to projects doesn’t sync up with how your office does things. When both interviewer and candidate ask questions about how that candidate operates versus how that office does things, it becomes easy to identify who would be a good fit and who would ultimately be unhappy should they be offered a role within that business. 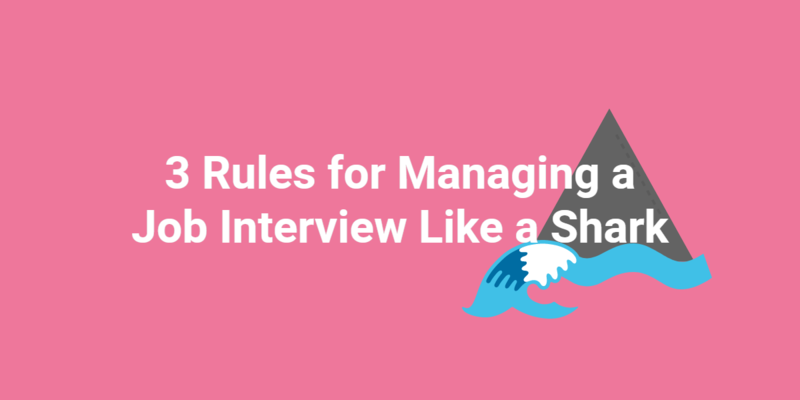 An interviewer can’t possibly cover every bit of information that a potential employee might need to know before accepting a job. 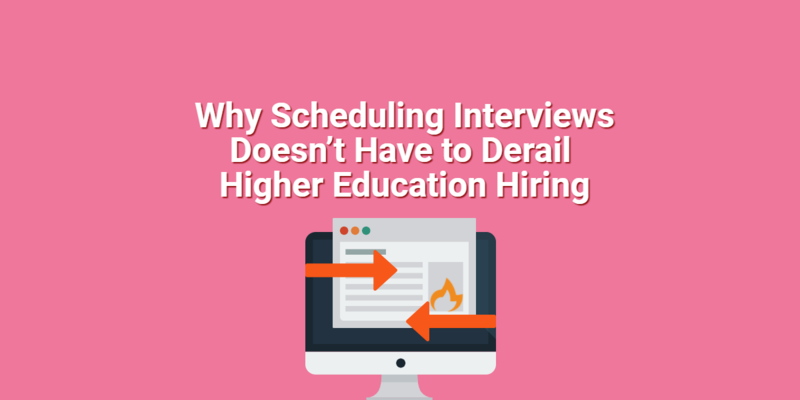 By answering candidate questions and having a conversation about the role, it allows potential hiccups in the equation to reveal themselves before it’s too late. If, for example, there’s a certain type of client that the candidate absolutely refuses to work with, this point might come up when questioned about it during an interview. Had this back-and-forth not taken place, the hiring manager might not have thought to mention the fact that the business serves this particular kind of client. Don’t be surprised if candidates asks you questions in the #jobinterview. They can reveal a lot. How does this company measure success? Success varies from business to business so any responsible would-be employee will want to know how your company gauges achievement. Is it based on sales? Leads? Projects completed? Be prepared to answer this thoroughly. Simply saying, “We measure success by having people work hard and try their best” isn’t helpful to potential employees. What would you expect from me in my first month, 6 months, and a year from now? You should have a set trajectory in mind for your new employee in order to help everyone gauge this individual’s achievement level and keep them on the right path. Giving them real direction and guidance about where they need to be headed is an important part of keeping the person motivated. When a new hire has no idea what’s expected of them now or in the future, it’s easy for them to feel discouraged or overwhelmed by their role. You should have small, easily attainable goals for when they first begin their work. You’ll also want to establish larger goals that could be accomplished after six months’ worth of work, and big picture goals that you’d like to see accomplished after a year’s time. Why is this role important to the growth of the company? This isn’t your typical “what are my duties?” question, and requires deep thought on the part of the hiring manager. Is the individual who fills this role taking over a position that’s been around since day one, or are they coming in to take on a new position, filled with new projects and potential? There’s no wrong answer, but it’s important to establish which path this role will take the employee down. If it’s a position that everyone knows and is familiar with, the required job duties are more set in stone. Veteran employees know what to expect as they interact with the person in this position. This can cut down on the amount of ramp-up time required for a new employee, but it doesn’t always allow for imagination and innovation on the part of the new hire. If it’s a newly established position, it lets the recently added team member figure out how to create value as part of the team. However, it can also take them longer to figure out where exactly they fit in within the business. Decide what needs are most pressing within your business and proceed accordingly. How will I be making other employees’ jobs easier? With this question, you’re able to show the potential hire who they’d be working with most closely, while also indicating how they’re adding value to the company. This gives them insight into how they’d fit in within the organization, without having to break down the intricate inner workings of the team in a way that might be overwhelming to someone who doesn’t even know where the restroom is located yet. It’s just enough of an overview for them to understand where they’d fit in, without burdening them with information they don’t need in this exact moment. What matters to people who work here? This can spark a valuable conversation about company culture as well as a discussion about the kinds of employees you currently have on staff. What are the people like? What can this person expect as they come to work each day? Is the office more collaborative or do people typically tend to work individually? Are office hours flexible or do people show up, work their set schedule, and then leave? What kinds of ideas are welcomed within the office? What kind of energy can you expect? Because this is becoming increasingly important to job seekers (and business leaders say culture and engagement is their number one challenge according to a study by Deloitte University Press) it’s a conversation worth having right off the bat. #Companyculture is employers’ #1 problem (@DeloitteUS). Fix it by discussing it with candidates. Job seekers view a veteran employee as a valuable resource when they’re on the hunt for a new career opportunity. They value honesty as they interview. Just as you want to make a smart hiring choice, they want to make sure that the next job they take is a great fit for them. Therefore, you’ll often get this question from potential new hires who are curious about what you as a real person, not just a representative of your company, like about coming to work each day. Is it the people you work with? The kinds of projects you get to work on? What makes you excited to leave the comfort of your bed, sit in traffic, and head to the office? Feel free to give your most honest answer. There’s no response that is too silly or small. Whether you love the additional educational opportunities you’re presented with or the delicious, healthy free food that’s always available in the break room, talk about it. Your responses are highly valuable to people who are hoping to join your team. What could my trajectory be within this company? Every hiring manager should want to hear this question because it indicates that the individual intends to stay within the organization for the long run. Be honest about the typical path a person who begins in this role takes, but also be willing to have a dialogue about other options. Just because past employees have followed a certain path, doesn’t mean that is what’s most desirable for your new hire. Be willing to give this individual the flexibility and freedom to operate in a way that’s most appropriate based on their skills, needs, and desires as well as what benefits the company. What are some of the biggest challenges or problems facing this department currently? While you obviously want to paint your company in a positive light, there’s no need to gloss over issues your business might be facing. Even the best-run companies experience regular challenges. If an interviewee asks you directly about the bumps in the road, be honest. You don’t need to air all of your company’s dirty laundry, but you can give some insight as to the struggles your department is working to overcome. Are you trying to deal with budget constraints? Is there a disconnect between your department and another department within the organization? Are you doing double duty as someone is out on maternity leave? Should this individual get hired, you want them to walk in on their first day with a complete picture of the kind of situations they’ll encounter. Being honest about the challenges you’re facing is an important part of making that happen. Regardless of how long you’ve been with your company or how deeply you believe in the business’s mission, you may find that at some point during an interview, a candidate poses a question that you simply don’t know how to answer. Rather than worrying about seeing incompetent or unprofessional, feel free to be honest with this individual. Explain that you’re unsure about the answer to their inquiry. Then direct them to someone who can provide the information, or offer to get the information and follow up. If you offer to get back to them yourself with the information, make sure you actually do this. There’s no shame in not knowing the answer immediately, but you owe it to the candidate to provide them with the information they were seeking in a timely manner. What are some other candidate questions you should be prepared to answer during the interview? Share in the comments below!